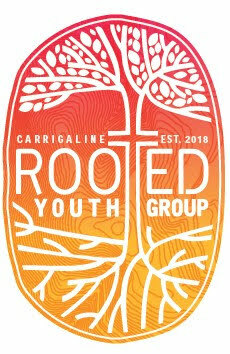 Free Audio to download from Carrigaline Baptist Church. You can either play the audio directly in your web browser (requires flash plugin to be installed) or else click on the ‘download’ link to save it to your computer. Book: Deuteronomy (11), Psalm (4), Habakkuk (1), Mark (15), Luke (1), John (1), Titus (7), Hebrews (1), 2 Peter (6). Series: Gospel of Mark (14), Spiritual Survival (6), The Psalms (4), Pure Church (6), Special Topic (2), Guest Speaker (3), Hearing God's Grace (11). John 3:1-8 (Part of the Special Topic series). Preached by Jonny Grant on December 29, 2013 (Sunday Morning). Gospel of Mark - Christmas: Jesus Sends! Mark 16:9-20 (Part of the Gospel of Mark series). Preached by Jonny Grant on December 22, 2013 (Sunday Morning). Mark 15:42-16:8 (Part of the Gospel of Mark series). Preached by Jonny Grant on December 15, 2013 (Sunday Morning). Mark 15:33-41 (Part of the Gospel of Mark series). Preached by Jonny Grant on December 8, 2013 (Sunday Morning). Mark 15:1-32 (Part of the Gospel of Mark series). Preached by Jonny Grant on December 1, 2013 (Sunday Morning). Mark 14:27-31 (Part of the Gospel of Mark series). Preached by Jonny Grant on November 24, 2013 (Sunday Morning). Mark 14:32-42 (Part of the Gospel of Mark series). Preached by Jonny Grant on November 17, 2013 (Sunday Morning). Mark 14:12-26 (Part of the Gospel of Mark series). Preached by Jonny Grant on November 10, 2013 (Sunday Morning). Gospel of Mark: Jesus, what is he worth? Mark 14:1-11 (Part of the Gospel of Mark series). Preached by Jonny Grant on November 3, 2013 (Sunday Morning). Hebrews 12:1-4 (Part of the Guest Speaker series). Preached by Michael Grant on October 27, 2013 (Sunday Morning). Carrigaline Baptist Church Audio by Carrigaline Baptist Church is licensed under a Creative Commons Attribution-NonCommercial-NoDerivs 3.0 Unported License. View the Autumn 2018 Term Programme to see what’s happening! Confidence in God’s life giving word - 1 Kings 17 on April 14, 2019. Healthy Members pt2 - Ephesians 4 on April 7, 2019. Jesus' Prayer for Us - John 17 on March 31, 2019.